Classic cars. Classic literature. Classic movies. Classic hairstyles. “A beginners yo-yo seems like a simple thing to design but the Classic is a huge achievement. The shape is large and comfortable yet angular and rim weighted. For a solid plastic yo-yo, the Classic has more rim weight then most and thanks to the secondary plastic cap the yo-yo has a solid weighted spin and incredible feel on the string. All of these are extremely important in getting long stable spin time when first starting out!,” says YYJ. Will the Classic live up to its name? Well, that’ll be for us all to decide. Until that time, let’s take a moment to look at what the YoYoJam Classic has to offer for us today. The Classic comes simply packaged in one of YYJ’s traditional plastic boxes. Nothing fancy, but that was to be expected; just another factor in making the Classic as affordable as possible. The Classic is available in many bright color combinations. I’m tempted to pick up another, one with an orange body and blue caps, and do a little mix and match. I mean, why not, they’re only like 10 bucks! The body of the Classic is Celcon plastic and nice and smooth to the touch, where the caps are shiny plastic (that’s the technical name). The caps are not removable and are placed tightly. The Classic is a full-sized, h-shaped, and all around very comfortable feeling throw in the hand. It’s not very heavy, not ultra light, but I was hoping for something a little heavier. We’ll see if this will be an issue that’ll affect the spin times and such. The Classic was designed for the beginner, with its narrow bearing and rubber o-ring response, making it completely tug responsive. For the more advanced player, these issued features can of course be substituted for a standardized c-size bearing and pads. 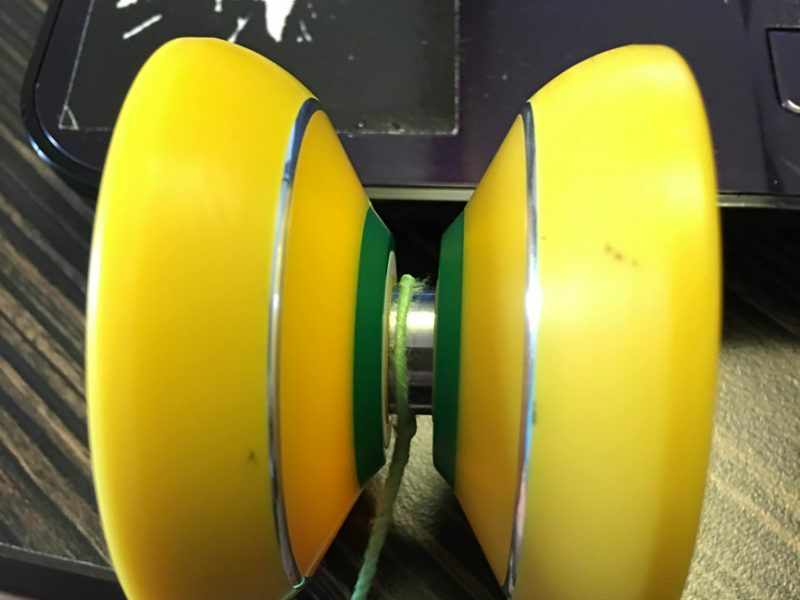 YoYoJam has been offering many of their throws lately with both a narrow and c-size bearing, allowing a new thrower to progress without having to buy a whole new yoyo. Smart! I do wish, however, that YYJ had gone with just pads and not the rubber o-rings. We can talk more about my reasoning why in the next section. Great for regens! Flowable silicone did not stay. Being that the Classic is a $10 yoyo, I had expected it to play with some vibe, but it was quite smooth on the string! I’m sure it’d vibe some on a grind, but it’s plastic anyway, so grinds aren’t really even possible. The Classic plays solid and fairly balanced! I’ve been trying to do get really good at my regens lately, and the Classic had no problem whatsoever in keeping steady on a solid regen. Not great spin times on the Classic, but not horrible. Enough to pull off a decent combo for sure. Generally, I’m very impressed with the playability! I tried the Classic three different ways. First, I tried it stock, with o-rings and narrow bearing. Perfectly responsive! Next, I switched out the narrow bearing for a standardized c-bearing but kept the o-rings. It played completely unresponsive, but the binds weren’t as solid as I wanted. Last, I pulled out the o-rings and put in some silicone. It played perfect… until the silicone popped out! Now, this could be me, I could just be horrible at siliconing! 🙂 I do think, however, throwing in some pads would be a perfect option if you’re looking to replace the rubber o-rings. They’ll take some time to break in but they’ll be certain to stay in place. Now, I mentioned up above that I wish YYJ had not gone with rubber o-rings. 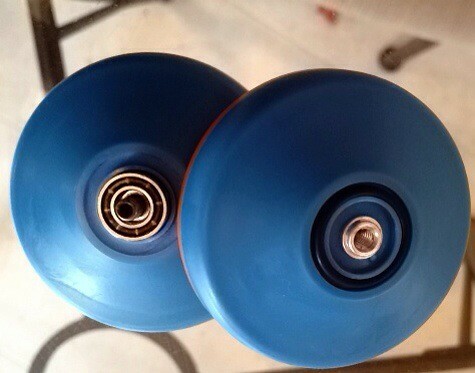 For one, traditional pads would still allow the yoyo to be responsive with the narrow bearing. In addition, it didn’t take long for the o-rings to make the white string gray from rubbing up against the rings. But at least these can easily be replaced. 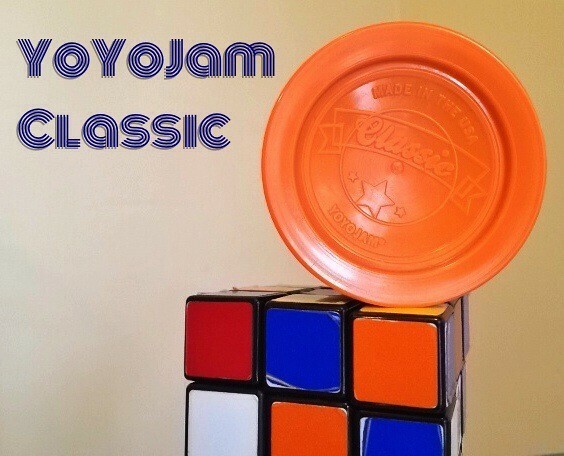 I really can’t see a reason why you should not pick up a YoYoJam Classic! Seriously. YYJ said it first, and I agree, this may be the best playing plastic for its value. You get more than your money’s worth with the Classic! 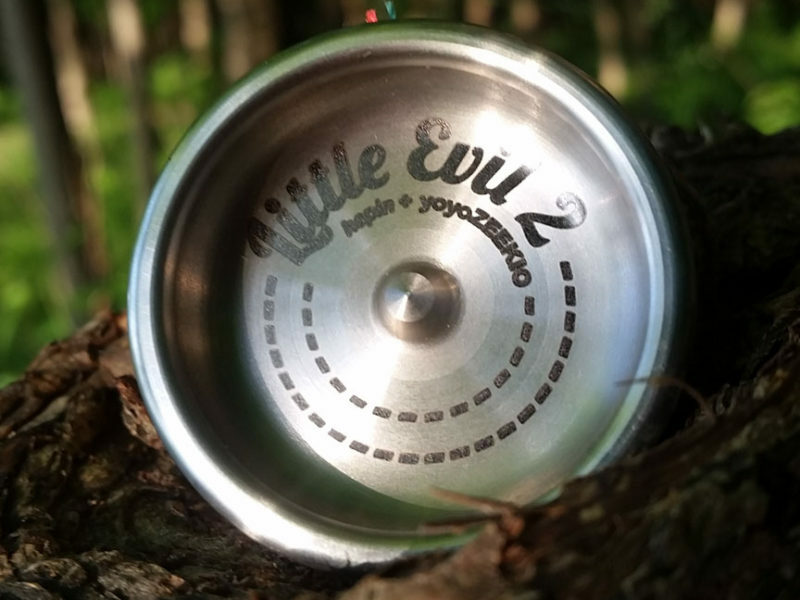 I have already recommended the Classic to a few people I know who have wanted to get into yoyoing for awhile but have always been hesitant because they didn’t want to make the investment. With the Classic you get an inexpensive, great playing, throw that’ll get you hooked on the toy! And for you more advanced players out there, you should pick up one too! Do the simple “mod” and you’ll have a great throw you won’t have to worry about playing over concrete. I won’t be surprised to see people even competing with the Classic. Written by Nathan “n-mart” Martsolf who while writing this review wore his classic baby blue Members Only jacket. ok, i got my classic, it now is my “dont leave the house without it” yoyo. Thanks, i never would have bought it, or even considered it, without this review. I just ordered one based on this review… i’m out another ten bucks thanks to you guys… thanks a lot… no but in all seriousness, thanks for another great review N mart. this might be my new beater throw. Nice review, very accurate and informative. A different perspective here, but as someone who deals with the Yoyo Ignorant General Public every day, face to face, I find the rubber o-rings to be appropriate and a positive on this yoyo. Plays friendly out of the box, long lasting, and I won’t get the “This yoyo is defective” message from disgruntled parent after their inquisitive youngster picks the pads out and attempts to reinsert. 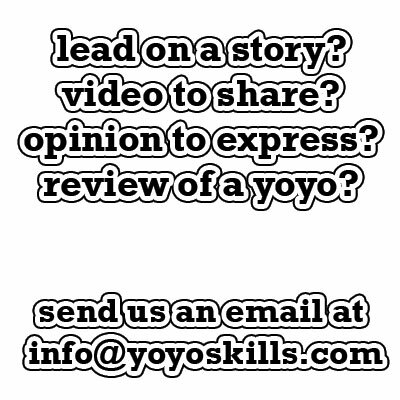 Experienced players just tweek the yoyo, not a big deal, you know what to do. 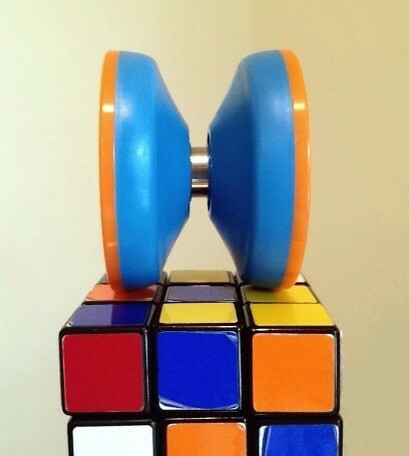 Love the YoYoJam Classic. celcon/delrin doesnt hold flowable silicone at all. i noticed it way back when the lyn fury came out and silicone was first getting big. better idea is just going with pads.